As teaching continues to evolve into an evidence-based profession, data literacy has become an essential skill for educators. Teachers, from the brand new to the seasoned professional, must understand how to use data to inform — and improve — their teaching practice. 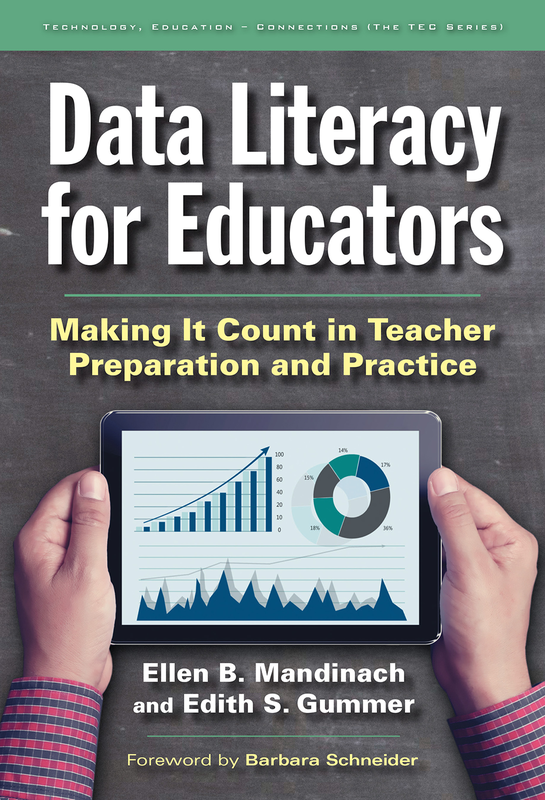 This resource, cowritten by Ellen Mandinach, Director of the Data for Decisions Initiative at WestEd, provides educators with concrete strategies for building a bridge between data literacy and teaching practice. The authors also address the intrinsic complexities and possible challenges educators may face in their efforts to integrate data literacy into the classroom. There's much talk about using data to inform education decision-making, both in and beyond the classroom. But do educators and education decision-makers understand data and do they know how to use it? This white paper, written by WestEd's Ellen Mandinach and Edith Gummer, examines the landscape of data literacy, based on a meeting of the foremost researchers, professional development providers, and other stakeholders in the field of data-driven decision-making in education. What role can schools of education play in building educators’ capacity to use data effectively? Find out in this report, summarizing a symposium that featured key experts nationwide.